Beloved husband of the recently deceased Elizabeth A. (nee Kerns). Dear brother of William(deceased) (Olga ), John(deceased), and Myren(deceased) ( Anne). Loving uncle and great-uncle, and dear cousin. Son of John and Maria(nee Borysyk) Zborowsky(both deceased). Passed away with his wife at his side on January 23, 2019. Walter lived his mission in life as a longtime advocate, partner, and friend to individuals with Intellectual Disabilities by working as the Executive Director of HELP Foundation Inc. for over 36 years; as a champion of legislative rights for individuals with ID locally and statewide; and as a social policy/social work instructor at Cleveland State University. A Joint Life Tribute Service will be held for Walter and Elizabeth on Saturday, May 18 at 11:00am at in the rotunda of the Community Mausoleum at Lake View Cemetery, 12316 Euclid Ave., Cleveland. In lieu of flowers, memorial contributions may be made to HELP Foundation, Inc., 26900 Euclid Ave., Euclid, OH 44132. 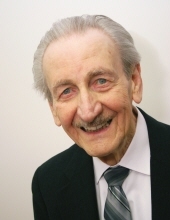 "Email Address" would like to share the life celebration of WALTER I. ZBOROWSKY. Click on the "link" to go to share a favorite memory or leave a condolence message for the family.